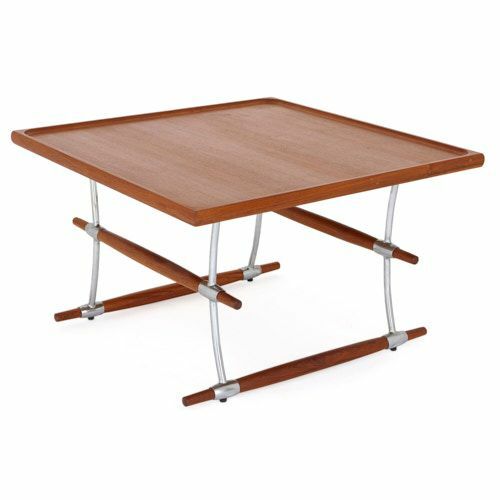 This stylish, minimalist coffee table was created by the pioneer of the Scandanavian modern movement in furniture design, Jens Harald Quistgaard. 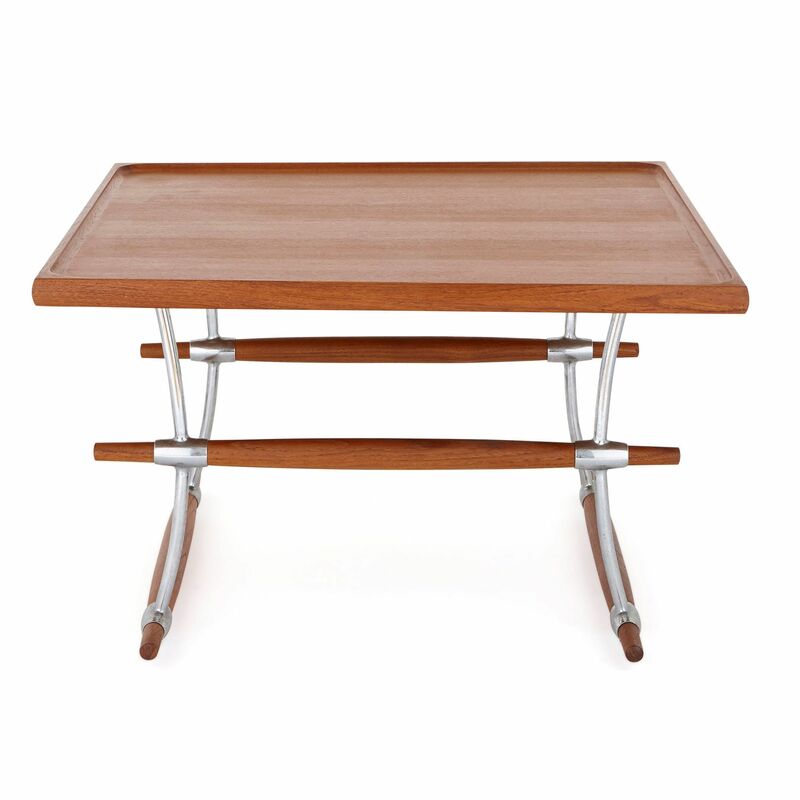 The coffee table features a rectangular light teak wood top with a raised edge, which is supported on four chromed metal legs. 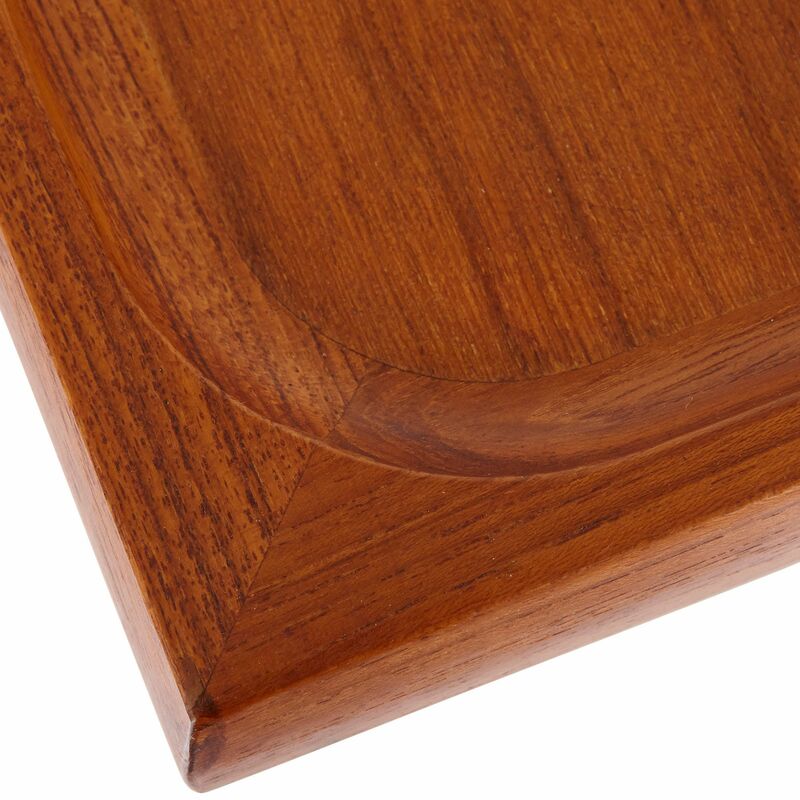 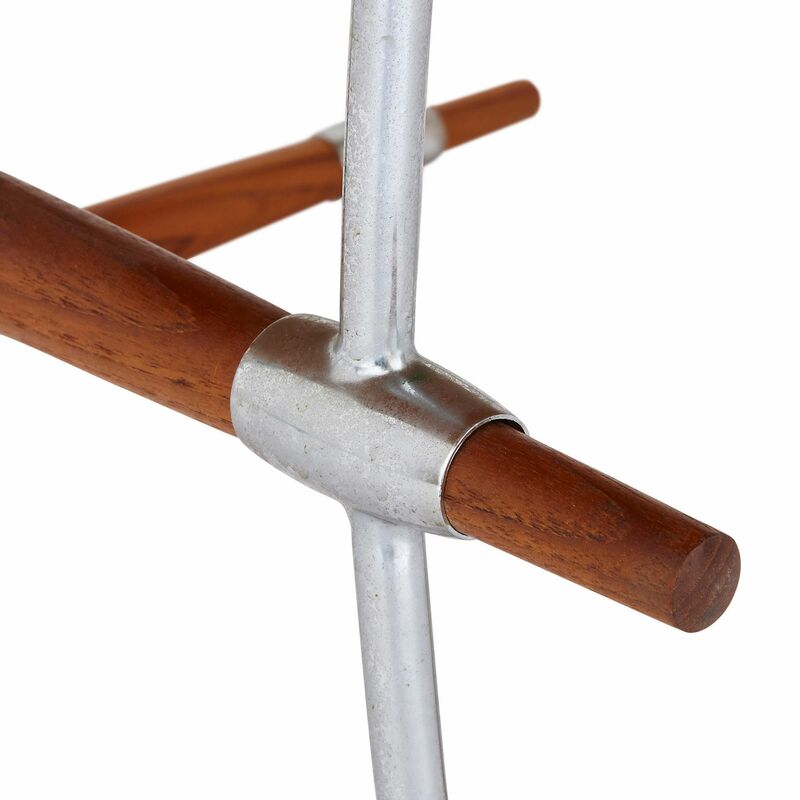 These legs are linked by teak wood turned batons, which taper at their ends. 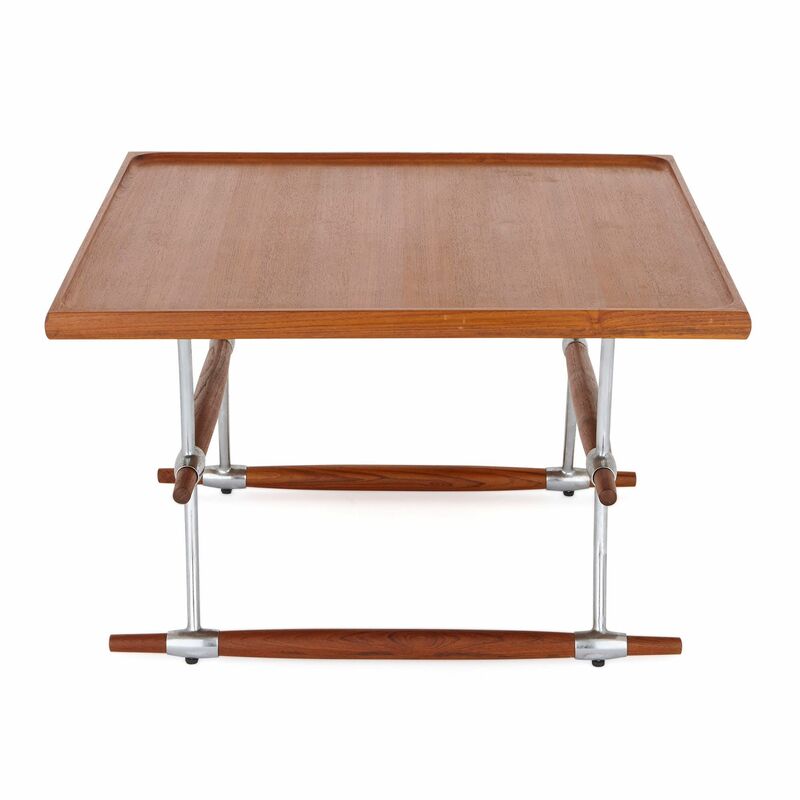 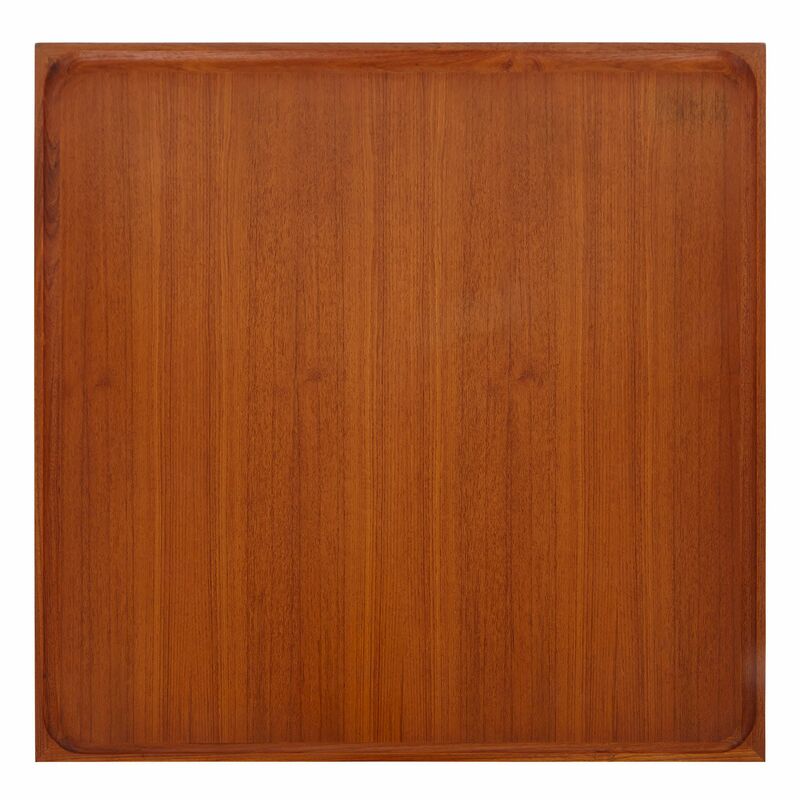 A similar Quistgaard table was sold in Christie's New York, Important 20th Century Decorative Art & Design Sale 2454 on 16 June 2011 for $122,500.